The Warman Competition is an annual event, typically held in September in Sydney, Australia. 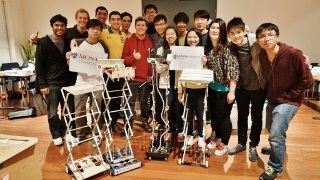 Year two engineering undergraduate students from Universities in Asia Pacific, Australia and New Zealand compete in this National Finals. Our campus has been sending students for this competition since 1999, when we first started our Engineering program. In the Malaysian campus, we run a campus level competition in Semester 1 as part of the first unit in the series of Engineering Design units offered to both Mechanical and Mechatronics majors. Students were provided with an Arduino Kit and some basic electronics to build their devices. Several workshops were held to get students started with Arduino programming early in the semester. With the introduction of Arduino (microcontroller) workshop in our design course, the quality and reliability of devices build were improved tremendously. 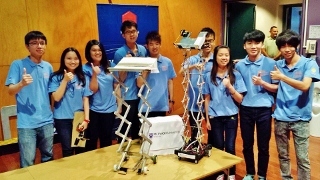 The winning team with a competitive device is rewarded with 2 return tickets funded by the School of Engineering to Sydney to compete at the National Finals. Through this activity, students are exposed to hands-on skills and the competitive environment at an international level. This also enables our students to network with students from other institutions which include students from our Clayton campus. Our competitiveness is built on the experience from continuous participation and the creativity and dedication of our students. In 2013, our team achieved 11th out of 18 places in the National Finals. 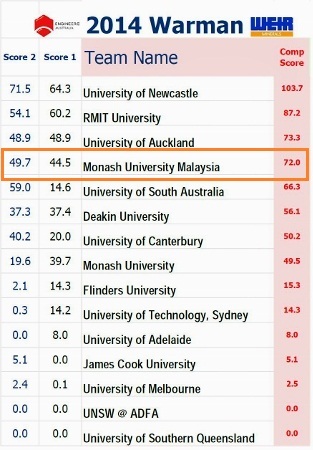 This year, we have made it to the 4th place which is a record breaking achievement for our campus. The competition was against large and reputable institutions all over Australia and New Zealand. School of Engineering congratulates our students for their hard work and achievement!